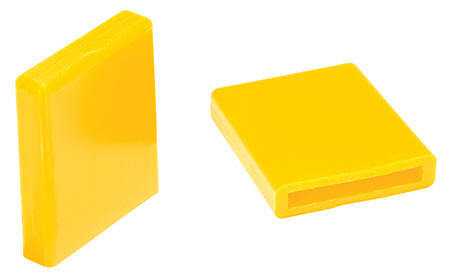 Protect your employees with our Safety Fork Pads. 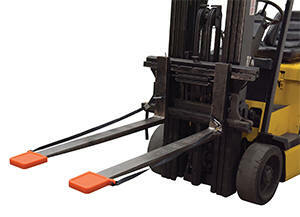 Our Safety Fork Pads are designed to cover the sharp ends of the forklift forks (when not in use) with a durable polyurethane cushion, reducing risk of head or leg injuries. Available in Yellow and Green. 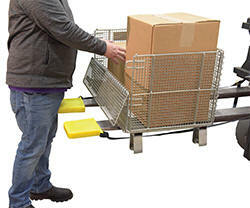 The fork tip protector is a quick and easy way to make forks safer in a variety of work environments. A durable construction is lightweight and compact for simple storage when not in use. 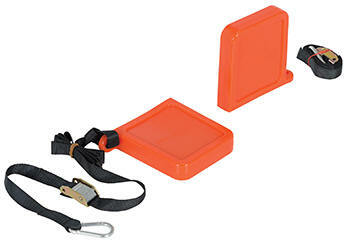 The included 6’ nylon strap allows the user to secure the protector in place, for limited jostling during movement. 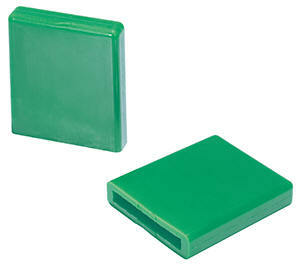 Units are available in a thick and thin outer shell design. Models accomodate fork width 4" & 5". The fork opening of all models is 5-5/8" wide and 3/4" high.